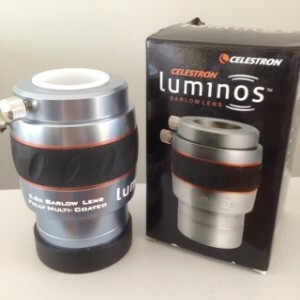 → CELESTRON 2.5X LUMINOS BARLOW LENS 2"
CELESTRON 2.5X LUMINOS BARLOW LENS 2" Sold! 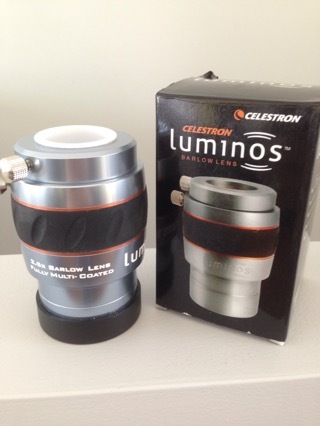 Like new 2" Celestron Luminos 2.5 Barlow. Used very little. Comes with 1.25" adapter, ends caps and original box. $85 USD shipping and PayPal fee included.